A hand stitched leather glove for cycling in cool conditions. Our Élysée glove, brings smooth, warm style to any cycle.They are meticulously hand-cut and sewn in our glove maker’s workshop. 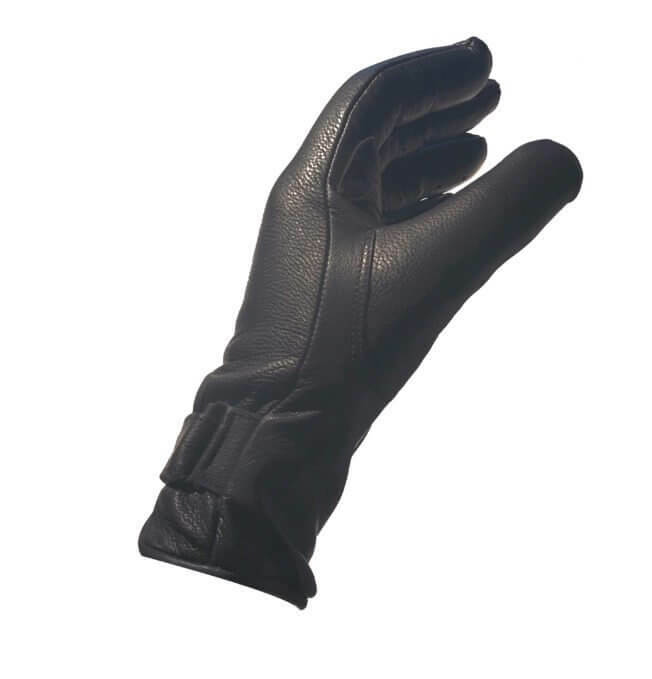 These gloves are constructed from fine grained goatskin leather with double stitching at key wear points for added durability. This hand-tanned leather is thin, supple and breathable, but also strong. After several rides, these gloves will mold to the shape of your hand, creating a near second skin. 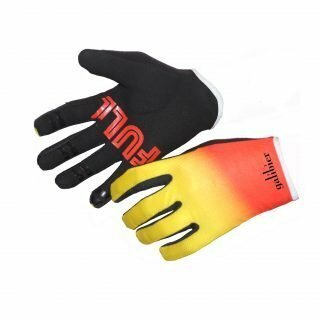 The inside of the glove has a light fleece lining which is excellent at wicking moisture to keep your hands dry and warm, and is also odour resistant. A strap with a dual popper, keeps the gloves snug at the wrist. To say I love these, is like holding a candle to the sun. Two ‘first-cut’ layers of leather, give stunning feel and protection to the Palm. An extra layer is added to the face of the knuckle for longevity and a ‘D’ pad to protect the ulnar nerve, above the inner wrist. 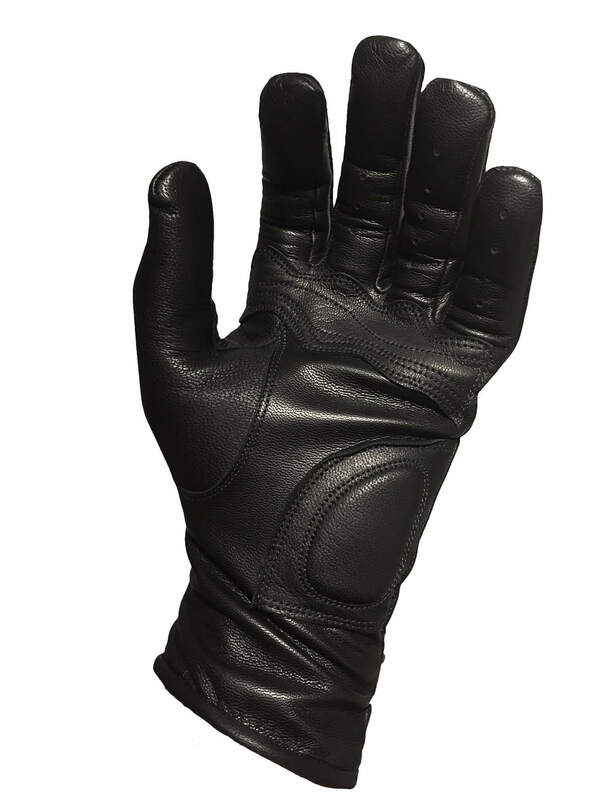 Palm: Ulnar nerve gel protection with double layer leather in contact points. 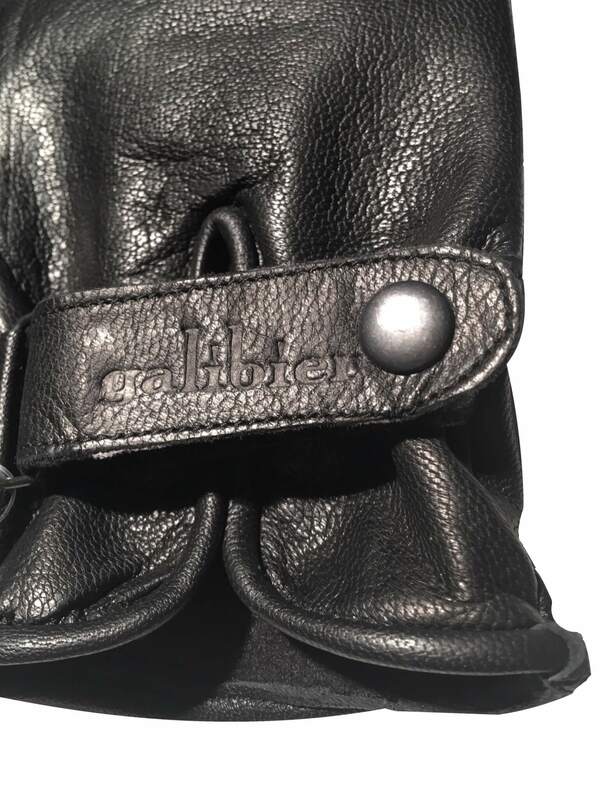 The leather used by Galibier for its gloves is a by-product of the food, wool and dairy industries. It is a completely renewable resource. Please note: acid from sweat eats away at leather over time, so it’s important to wash the gloves, particularly if you’ve sweated them through on a ride. Once washed and dried, glove balm should be applied to keep them supple. Did feel a bit like James Bond but really nice glove. Luxury feel and high class finish and warm! Outstanding glove and getting better every day. Used this morning at below freezing and performed without me noticing- so good. Padding fit on the mark and long gauntlet wraps over my gabba sleeve. Taking a star off as they took 3 days to arrive, not next day as promised. Absolutely my new favourite thing, I adore these. I can’t believe this isn’t what we’ve always worn in the winter. 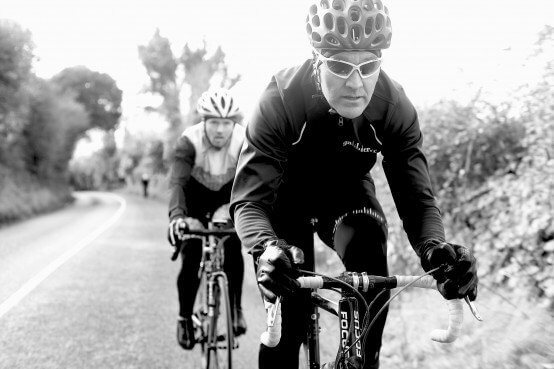 The feel amazing on and look great, they kept me toasty warm in a 2degree winter spin. These really deserve to catch on. Got out mountain biking tonight with my new Elysee gloves. About 0-2deg. Cold feet, cold head, cold face, warm hands. Super product, look great, very comfortable and really warm. 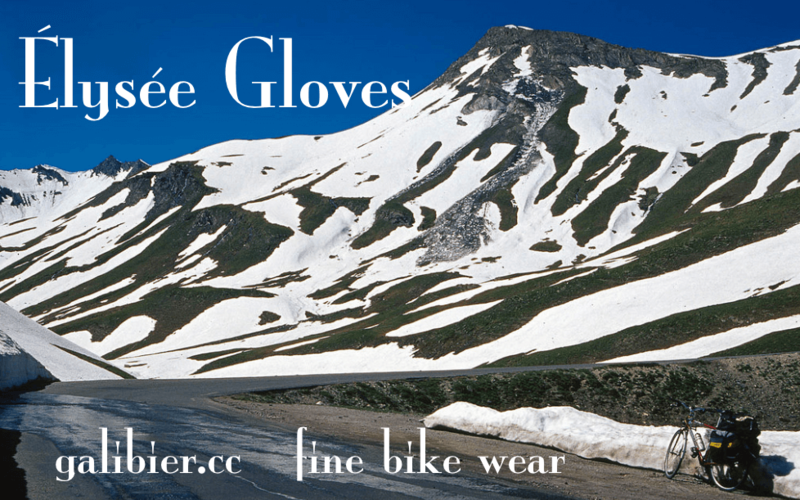 Fantastic gloves, quality leather and beautifully made only surpassed by Galibier customer services. Courier /Royal Mail apparently lost my order a quick call to Galibier and another pair dispatched same day, Galibier advised me if original pair turned up not to return but to give to ‘deserving rider’. Great gloves apart from sub zero temps, where tips of fingers did start feeling it. Would benefit from padding on both sides of the palm. I love these gloves, they are well made and of quality materials – I feel like Biggles doing up the straps! My wife bought me these as a present and she chose large which I thought might not fit. I need not have worried, they were a bit tight at first but after further use they fit perfectly. Around zero my fingers started cold and stayed cold until I had worked up a good sweat but at slightly higher temperatures they are great, keeping my hands warm but avoiding the sweatiness you get with some gloves of synthetic materials. 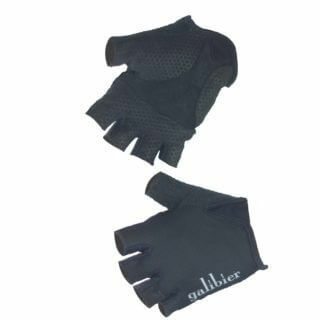 Another great piece of kit from Galibier delivered in their own little musette. Beaux. Chauds. Très beaux. Indispensables! I’ve no idea how my wife could have known I would appreciate a pair of leather gloves let alone guess the correct size. You can therefore only imagine my delight when I opened up a pair of Élysée gloves on Christmas day. I set off on a ride yesterday morning with temps of 3degC at home before heading up to the hills where it was a good bit parkier with fresh puddles of ice on the roadsides & hail settled in the fields. The gloves stopped Jack Frost nipping at my fingers & I was warm 3hrs later. Prompt delivery as ever. Good work Galibier. I actually bought these to wear as a ‘non-cycling’ glove – was a bit dubious about leather gloves for winter riding. When I first put them on they seemed a little too snug and insulation seemed very light. Tried them on the bike and it all made sense. Stretched to my hands slightly over the first few rides and now fit….like a glove. Great quality leather, seams all neat and tidy. I’ve worn them from just over freezing to 10+ C on the road bike and commuter and they’ve been great. Warm enough without being sweaty. 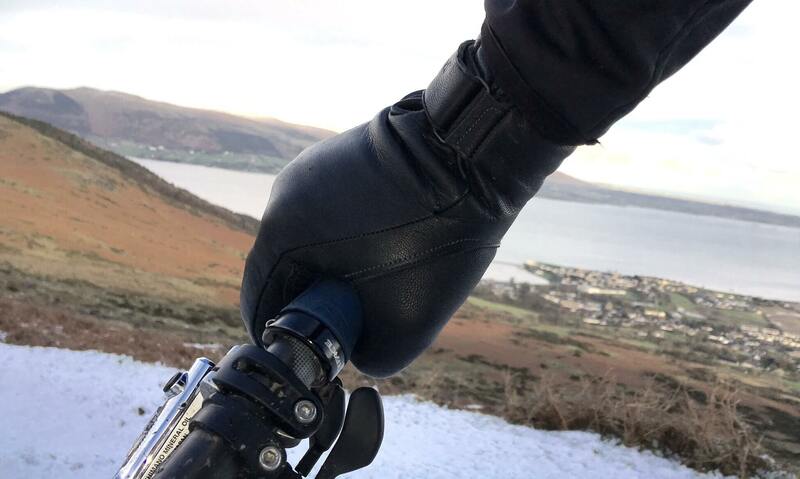 Somehow they seem completely windproof – all my other winter/windproof gloves still end up being cold on the seams (particularly on the fingers/thumb) but I either the position of the seams on these, the way they’re made means no wind chill. A truly lovely thing and unbeatable value.